Nice have confirmed the appointment of former Arsenal midfielder Patrick Vieira as their new manager. 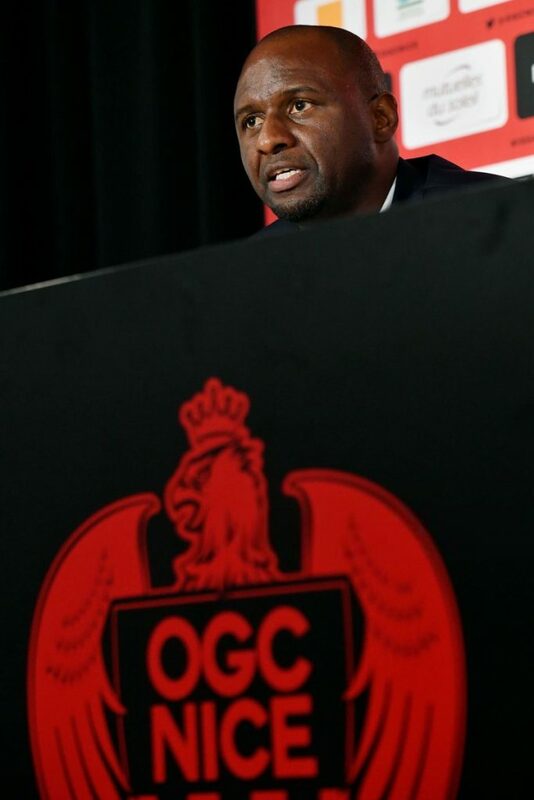 The job with OGCN is Vieira’s first in Europe- he was previously in charge of New York City in the MLS. Rumours had him as Arsene Wenger’s possible successor at the Emirates, but he has chosen to return to his native France to replace Lucien Favre, who left Les Aiglons for Borussia Dortmund this summer. It’s a coup of sorts for Nice, who will be hoping that Vieira will have the same impact that Favre did in his first season, getting OGCN to the Champions League. An immediate decision will have to be taken on the future of Mario Balotelli, but initial reports suggest Vieira wants the Italian striker to stay. Vieira is also expected to be one of the candidates to replace Pep Guardiola at Man City in the future, given his good relations with the City group. This entry was posted in Ligue 1 and tagged OGC Nice by France Football. Bookmark the permalink.